You can fly too high and get too close to the sun. See how the boy falls from the sky. 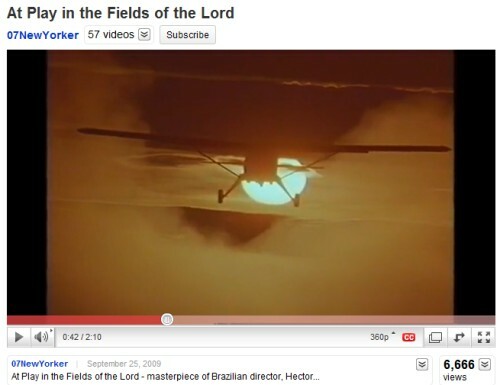 This morning's post and the "At Play" film it linked to featured class conflict and Brazilian natives. For a more down-to-earth approach to these topics, see Fox Broadcasting's new series "Running Wilde."